In the old days, the only economical way to move a car across a country was to drive it to the destination. Though it is true that driving on a long, open highway has its own charm, when it comes to transporting a vehicle, driving it to its destination may not be the most efficient means. These days, you can simply hire an auto shipping services company to move your prized possession to any location. 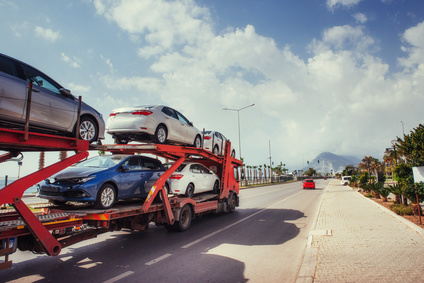 If you have been indecisive about whether to drive or ship your car cross-country, in this blog, we will help you make the right choice by analyzing both the options on multiple aspects. Read on. When driving a car cross-country, the vehicle is susceptible to a number of issues, ranging from breakdown and accidents to harsh weather conditions. There are a number of things that can occur while driving the vehicle over distances. Additionally, driving a vehicle thousands of miles puts unnecessary strain on the vehicle, which can even cause serious damages to internal components. That’s why it is advisable to hire a reputable auto shipping company when you need to ship your vehicle over a long distance. Long-distance driving can be tough and tiresome. On the other hand, hiring an auto shipping company offers a convenient and hassle-free way to transport your vehicle. Moreover, if you’re relocating with your family and the to-do list is too long, you may not have the time to drive your car all the way to its destination. Hiring an auto transport company takes the trouble out by addressing all sorts of concerns. The customers can always count on the $12 billion auto transport industry for timely and safe shipment of their vehicles. If you think driving your car across the country would cost you less compared to hiring an auto shipping company, you just might be mistaken. Stopovers for food, gas, hotels, and unforeseen expenses can make the trip an expensive proposition. In contrast, auto transport services are cost-effective, with a trip from New York to San Francisco costing just around a thousand dollars. However, before you hire a vehicle transporter, get a detailed quote of the shipping cost and check whether it includes insurance. Given the light of the comparison, the choice is clear; driving a car cross-country may not be the most sensible thing to do. By hiring an auto shipping company, car owners can save money and enjoy the convenience and safety that only an efficient auto shipping company can provide. EasyHaul, a Vancouver-based auto shipping company, specializes in shipping all kinds of vehicles. We have years of experience in vehicle logistics, both domestic and international. For more information on our services, simply call +1 (360) 597-9320, or let us know your requirement by filling out this form and one of our auto shipping experts will get back with you, shortly.